Wayne Curtis was born near Blackville, New Brunswick, in 1943. He was educated at the local schoolhouse and St. Thomas University where he majored in English. He started writing prose in the late 1960s. Books In Canada described his work as “A pleasure to read, for no detail escapes his discerning eye.” He is twice winner of the Richards Award for short fiction as well as the Woodcock Award, the CBC Drama Award, and A and B Grants from New Brunswick Arts Board, and The Canada Council for the Arts. He has been a contributor to several newspapers including The National Post and The Globe and Mail as well as the magazines Quill and Quire, Outdoor Canada, The Fly Fisherman (USA), Atlantic Insight, The Atlantic Advocate and The Atlantic Salmon Journal. His stories have appeared in literary journals; The Fiddlehead, The Cormorant, Pottersfield Portfolio, Nashwaak Review, Antigonish Review, Origins Literary Journal, New Brunswick Reader, New Maritimes and in the anthologies, Atlantica, STUReader and Country Roads, a national collection of rural essays. His short stories have been dramatized on CBC radio and for CBC television. In the spring of 2005 Wayne Curtis received an Honorary Doctorate of Letters from St Thomas University. He has lived in southern Ontario, the Yukon and Cuba. He currently divides his time between the Miramichi River and Fredericton, New Brunswick. 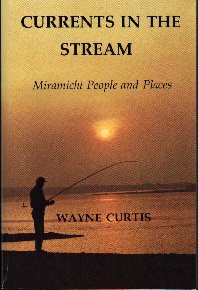 Currents In The Stream is an affectionate portrait of the Miramichi by a son of the river. Wayne Curtis describes communities from Juniper to Loggieville and some of the notable people and events which have contributed to the story of this special region. Writing about founders and settlers, poets and musicians, politicians and poachers, as well as the ballads and songs that draw on the Irish tradition, Curtis offers an introduction to the vivid history of the Miramichi Valley. 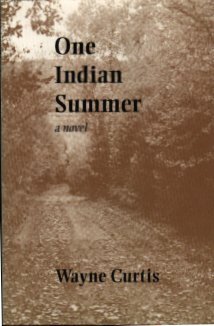 One Indian Summer is a powerful and eloquent novel about a boy whose coming-of-age on the Miramichi River coincides with the death of his father and the end of the family farm. 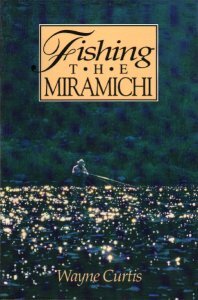 In Fishing the Miramichi, Wayne Curtis shares stories from decades of fishing and guiding. Setting his angling tips and character sketches of outfitters and guides within the context of responsible sportsmanship, he composes a lyrical tribute to the river that he calls home. 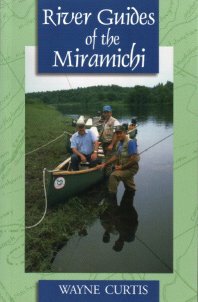 More than twenty of the Miramichi River's most experienced guides told Wayne Curtis their best stories for River Guides of the Miramichi. Guides including Renate Bullock, Eugene Harris, Ernest Long, Bill MacKay, and the author's own father John Curtis, show the strength, skill, sense of humour, and love of the river and its great Atlantic salmon that have become famous throughout the angling world. 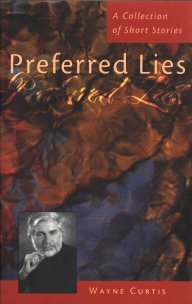 Nimbus Publishing Wayne Curtis' short story collection Preferred Lies explores the underlying tension between his characters' inner passions and persona they present to the world. The complexity of relationships from childhood through old age shapes their lives and both helps and hinders their freedom to become, essentially, themselves. Poignant and tender, these stories carry their characters along myriad paths to self-deception about who they are and what they need. Nimbus Publishing In Last Stand, we discover that clear-cutting applies not only to forests but to the human heart: the result - a barren landscape - is the same. Just as age-old trees are felled by modern equipment, so do history and heredity conspire to undermine intention and desire. We might expect that tracing family roots in familiar territory would leave small margin for the same failures, but we find that human folly is no student of history. 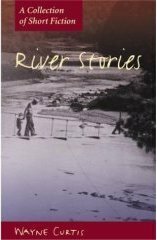 Curtis illustrates with prose as clear and steady as the river that travels through it that we are all too easy prey to our own demons. Nimbus Publishing Whether depicting the loss of childhood loves, the comic campfire talk of once-a-year visitors, or one man’s desperate mid-life struggle to bring home a fish, Curtis portrays the growing pains of his Miramichi people with empathy, humour, and vivid description in stories held together by the rhythm of his language, by the voice of the river itself. 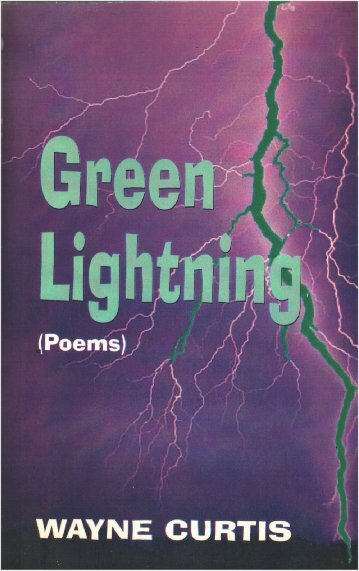 Bawdy House Press Green Lightening, Some of these poems appeared in literary journals such as the New Muse and Cormorant. Others have appeared in the New Brunswick Reader. Many have been read by the author on CBC Radio in his Post Card Series in the autumn of 2001. 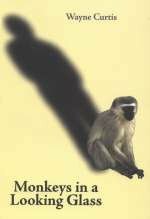 Dreamcatcher Publishing In Monkeys in a Looking Glass, Curtis draws upon his travels to give readers a portrait of the young Che Guevara in love for the first time and to describe the fear and exhilaration of Pamplona's "running of the bulls." At the same time, he applies his discerning eye to things closer to home: a man searching for his family roots in the goldfields of the Yukon; and ex-convict looking for love at a singles' dance, a young family chasing a dream in rural New Brunswick. 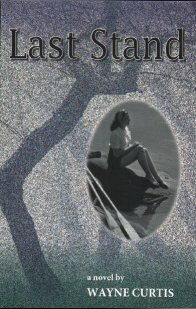 Readers will finish this book knowing a good deal more about the human condition than when they started. 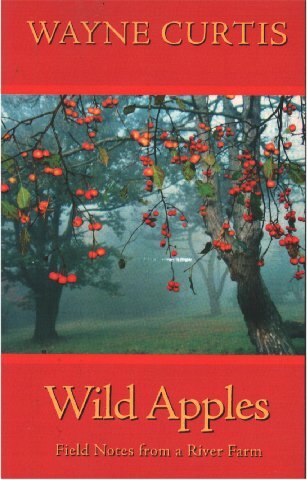 Goose Lane Editions Wild Apples marks Wayne Curtis’s return to the embrace of home and the colourful lives of the people who inspire him. Simple pleasures, like fishing on the Miramichi River, and even chores--cutting wood, planting beans, and picking crabapples--call forth homespun recollections. The birth of his sister at Christmastime, the story of his mother in her own words, and a memorable trip to the circus embody unexpected moments of family love. His meditations on public figures, such as Robert Frost and Lord Beaverbrook, cast a new, humane light on these icons. Lion's Head Press Night Train to Havana , Night Train to Havana is a riveting story of love and deception set in a land still scarred by the hardships of a forty year revolution. Part travelogue, part love story, it follows one man's journey into the clutches of seduction, revealing much about the collision of global politics and human desire. Wayne Curtis has travelled frequently to Cuba to observe first hand the struggles and triumphs of the Cuban people. 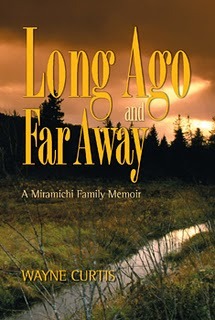 Pottersfield Press Long Ago and Far Away , is a memoir set in the Miramichi. It reflects how a family lived and prospered through the late 1880s, when Wayne Curtis''s grandfather was a young man. 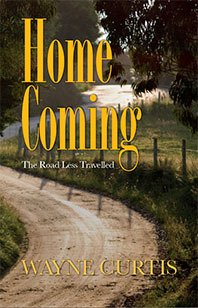 The story follows the lives of Wayne and his father, chronicling Wayne''s youth and adult years in rural New Brunswick. He brings back to life an extraordinary time and place and reflects upon the changes that have all but erased those days gone by. The memoir tells the story of the rough and rowdy Miramichi of the past when the hunting and killing of wild animals was very much the norm and people struggled to survive off the land. Goose Lane Editions Of Earthly and River Things: An Angler's Memoir , Wayne Curtis voyages back through the tributaries of his past, throwing a pastoral net over the backwaters of his childhood to ensnare the sepia-tinged moments of love, loss, and life lessons gleaned through his rise to maturity on the waterways of New Brunswick. 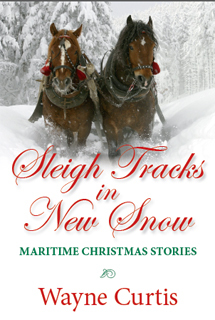 Pottersfield Press Sleigh Tracks in New Snow: Maritime Christmas Stories , is a collection of Christmas stories set mostly in rural New Brunswick - principally the Miramichi Region - in a bygone day and age. The stories range from the early 1950s to the 21st century, as Wayne Curtis recounts the old Christmases of his boyhood and more modern incarnations of the holiday. In this entertaining book, Curtis honours the deeply held traditions and rituals that made celebrating Christmas such a special time for his family and community. Pottersfield Press In The Country , is a collection of Wayne Curtis’s unflinching but lovingly told stories of the hardships of rural life for his generation. Despite an abiding love for the natural settings in which he himself grew up, Wayne describes the restrictions facing young people who yearned for a life beyond the farm. Country life, with its tranquility and beauty, its seasonal rhythms and gifts, also held many boys and girls back from achieving their potential. New Brunswick’s Miramichi River is one of the most entrancing salmon rivers in the world. In Fishing the High Country, Curtis has created what can only be described as a river masterpiece, a lyrical record of time and place, of those who are drawn to its side and those who cast their lines into its waters.